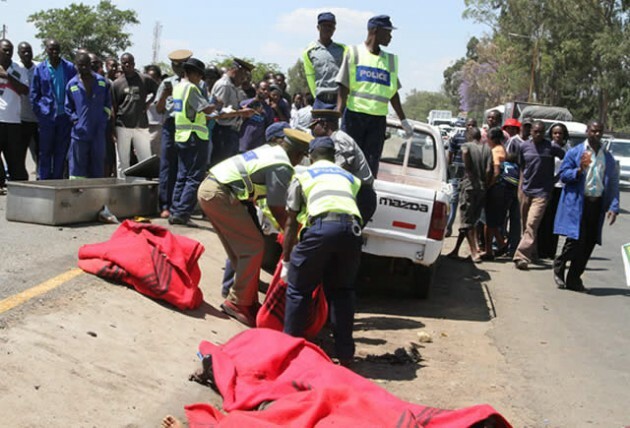 Five people died on the spot while several others were injured when the vehicle they were travelling in burst a tyre before colliding with a bus at Zindoga Shopping Centre along Simon Mazorodze Road this afternoon. The Toyota Raum vehicle was heading towards Mbudzi roundabout while the bus was coming to town. 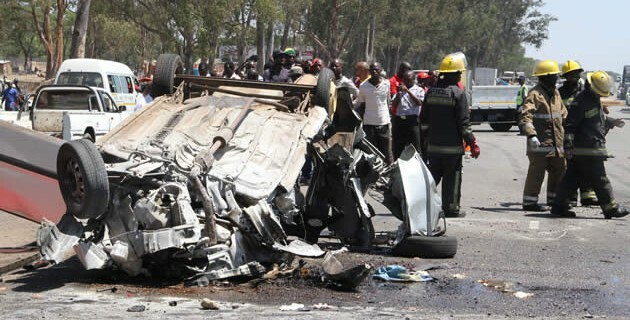 Eye witnesses said the vehicle was speeding and tried to avoid a stationary vehicle parked by the roadside. The bus that was involved in the accident with the Toyota Raum that claimed the lives of five individuals. Upon bursting its front tyre, the vehicle hit the curb dividing the dual carriageways and spun off the ground, tossing three of the passengers out before landing on its roof trapping the driver and the front passenger. The vehicle then burst into flames before passersby put out the fire. 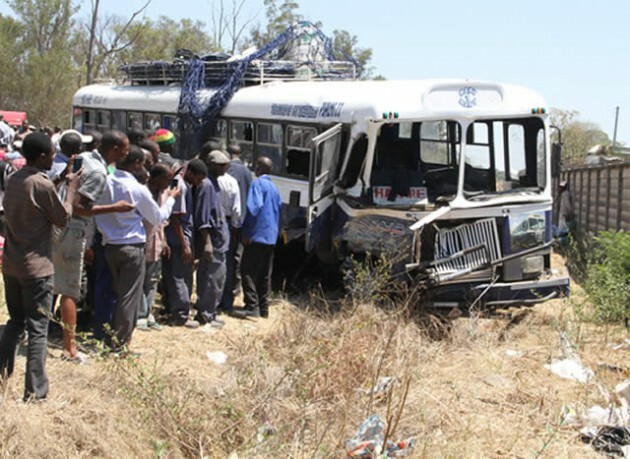 The five dead were in the Raum while those in the bus sustained injuries.